UPDATE: The launch of the SpaceX Falcon 9 rocket was scrubbed Monday (April 14) afternoon due to a helium leak. The rocket will launch no earlier than Friday (April 18) at 3:25 p.m.
WEST LAFAYETTE, Ind. - A Purdue University experiment that will test how plant cells sense and respond to different levels of gravity is scheduled to launch aboard the SpaceX Falcon 9 rocket from Cape Canaveral, Fla., on Monday (April 14). Understanding how gravity impacts plants is key for determining the conditions necessary to grow plants in space. "Being able to grow plants for food in microgravity and space environments is crucial if we're going to reach this amazing future of long-term space exploration that we all imagine," said Jenna Rickus, associate professor in the departments of Agricultural and Biological Engineering and Biomedical Engineering. "We tend to think of propulsion and spacecraft technology as the main challenges to space exploration, but the true challenge is really the biology." Known as "SporeSat," the autonomous, free-flying spacecraft will investigate how variations in gravity affect calcium signaling in germinating spores of the fern Ceratopteris richardii. Calcium signaling - a gravity-directed process - acts as a compass for plants, determining the directions sprouts and roots grow during germination. The experiment will help determine the minimum level of gravity needed to trigger normal calcium signaling activity in plant cells. Rickus said artificial gravity might be necessary to produce crops for food on future long-term space missions. Rickus and postdoctoral research assistant Amani Salim are the mission's principal investigators. The study also will lead to a more detailed understanding of the molecular and biophysical mechanisms plants use to detect gravity. 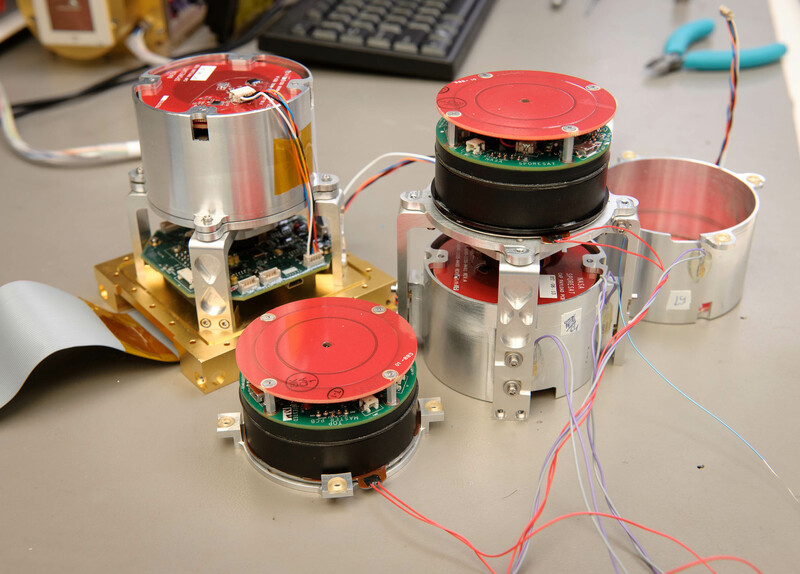 Aboard SporeSat are three disc-shaped "BioCDs," devices that use lab-on-a-chip technology developed by Marshall Porterfield, a Purdue professor of agricultural and biological engineering and horticulture and landscape architecture. Each BioCD contains four rings of eight fern spores. During the experiment, two of the BioCDs will spin to simulate gravity while the third will remain stationary as a microgravity control. Each ring of spores on the spinning discs will experience a different level of gravity depending on how far it is from the center. Microelectrodes will measure the spores' calcium signaling activity and transmit the data back to Earth. Because human cells use calcium signaling, the study also is an important step toward understanding the effects of space's microgravity on the human body, said Porterfield, who also is division director of NASA's Space Life and Physical Sciences research program. "We're finding that microgravity affects all of our systems," he said. "Our immune system, muscles, circulation - even our vision - are affected over time." Porterfield said SporeSat's microsensor technology also provides a foundation for future studies of cell activity, both on Earth and in space. "The lab on a chip is a platform that could screen for any cell activity in any kind of cell," he said. "It can easily be diversified to develop therapeutic drugs and clinical strategies for treating human diseases." 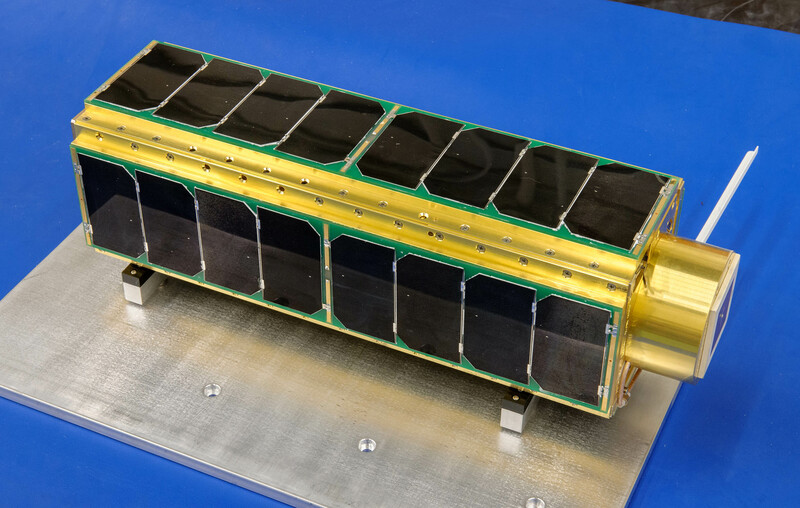 The SporeSat mission will be flown aboard a nanosatellite weighing about 12 pounds and measuring 14 inches long by 4 inches wide by 4 inches tall. The SpaceX Dragon spacecraft on the Falcon 9 rocket will deploy the satellite into low-Earth orbits between 200 and 250 miles above the planet. SporeSat was developed through a partnership between NASA's Ames Research Center and Purdue's agricultural and biological engineering program. Collaborators include Joon Park at Purdue, Stanley Roux at the University of Texas at Austin and Purdue alumna Brittany Wickizer at the NASA Ames Research Center. Funding for SporeSat was provided by the Space Biology Project at the NASA Ames Research Center and the Space Life and Physical Sciences Research and Applications Division.